One-Block-Wonder Update | In the Crayon Patch.. In my last post describing the steps in the construction of the one-block wonder quilt, I gave the amount of time it took me for each stage. I realize that I did not explain that this is not the first quilt of this kind that I have made. The first few times took WAY longer, as I read and re-read the instructions, and double-checked every step. My current project is my fourth quilt using this technique, so I am pretty familiar with it now.. 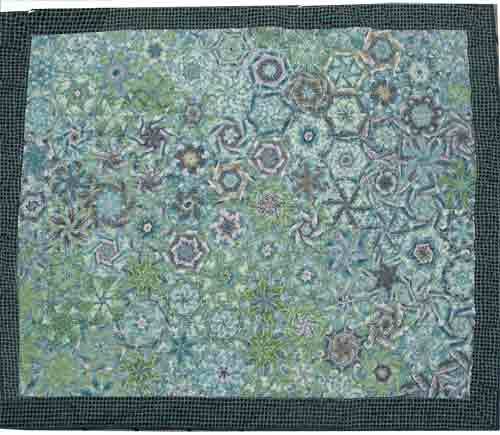 I thought I would share images of the other three one-block wonder quilts I have made. The first was the most difficult, partly because the directions call for a fabric with a 24-inch repeat, and I used one with a 12-inch repeat. Also, there was not that much variation in the original fabric, so it was often difficult to find matching pairs. It was made as a gift for my sister’s birthday. 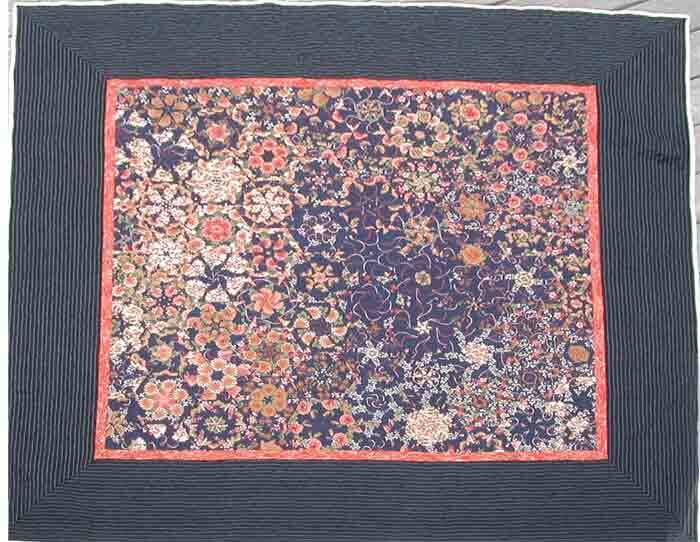 The second was made with a fabric that had fish swimming in a stream- small bits of the fish are visible in a few of the blocks. 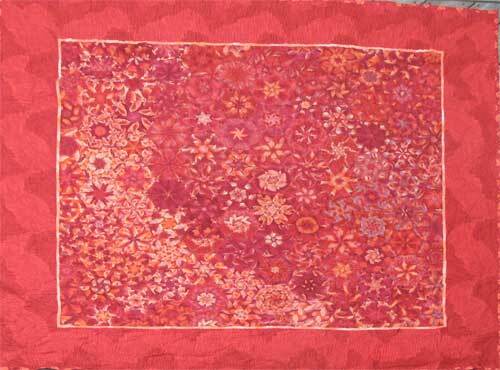 The third quilt I made was a tricky one, as it was a simple red leaf design, and did not seem to have much visual interest, but I loved the colour. I was worried that the blocks would all look the same- what a surprise! I was thrilled with the way it turned out, and it now has a happy home with a good friend who fell in love with it at first sight.